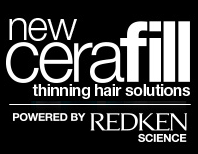 **I am participating in a Vibrant Influencer network campaign for Cerafill powered by Redken. I am receiving a fee for posting; however, the opinions expressed in this post are my own. I am in no way affiliated with Redken and do not earn a commission or percent of sales. The days of having longer and fuller hair are long since past, or so I thought. 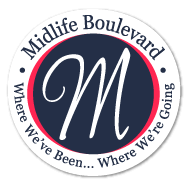 When menopause descended on me it brought with it some very undesirable side-effects. 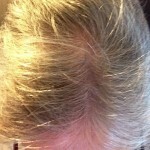 Besides all the annoying hot flashes and mood swings I found that my hair was thinning. I found it everywhere but on my head. Big sigh… I resorted to shorter hair styles and products to make my hair ‘look’ fuller. Those are pretty good odds so I accepted the offer to join this campaign and put these products to the test. I received shampoo & conditioner along with Dense Fx & Texture Effect. The requirements stated that I had to use the products for 2 full weeks and then provide feedback via this blog post. I will say right here and now that I am a big skeptic when it comes to products like these. Why? Because I have tried practically every product out there to help hide the fact that my scalp is more noticeable than my hair. It seemed like a mission with no chance of success. Yes. I needed help. As soon as I received my products I began using them. No time to waste, in my view. After one week of use. After just one week I noticed a difference. My hair felt thicker and I saw less of it falling out. These products were beginning to earn my confidence. After two weeks my hair continued to improve. I am so thankful that I was chosen to take part in this campaign. These products really do produce results. It is a nice feeling to know that my hair is now more noticeable than my scalp. Don’t just take my word for it, check out what others have to say about these products. Real Stories. You can use the handy #Cerafill Salon Finder to find a salon near you. Check out all the Cerafill Products and see which ones may be right for you. That's awesome to see and hear that it actually worked. Hubby tried Rogaine, but we never noticed much of a difference. I can imagine different products will work differently depending on the person.